Striking, captivating, exquisite — any of these words describe the Littleleaf Linden, commercially one of the most popular of the lindens. This is an excellent choice for residential yards, with an attractive pyramidal form as a youngster that it luckily never quite shakes as it matures. The Littleleaf cares little about the type of soil to which it is assigned, making it an excellent choice for heavy clay conditions. You don’t need to test the pH level, because it will do fine whether soil is acidic or alkaline. Tolerates dry soils without complaint. It branches quickly and prolifically, its one-and-a-half to three-inch leaves holding a rich, dark green until turning yellow in the fall. Yellow flowers in the spring do not stop the show, but are reasonably pretty and very aromatic. Be aware, the flowers attract bees for a few weeks in the spring. A fast grower, Littleleaf Linden prefers cooler climates (they do not fair well in the south) and is hardy to Zone 3. Reaching heights of 60 to 70 feet, spreading to widths of 40 feet, this is an excellent choice as a shade tree for medium to large yards. Recommended cultivars are ‘Chancellor’, ‘Corinthian’, ‘Glenleven’, ‘Greenspire’, and ‘June Bride’. 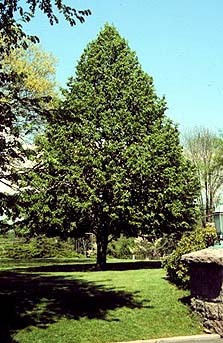 As is pointed out in the essential tree and shrub book, Dirr’s Hardy Trees and Shrubs, by Michael A. Dirr, “‘Greenspire’ is the most popular because of its central leader and uniform branching habit.” Plant one now and in ten years you’ll have a very nice shade tree, in twenty years, a beauty.